You'll recognize the flavor the moment you pull this bottle out of its box. A monster of a flavor that not only produces a sweet aroma cloud but also replaces the berries flavor of one of the most loved energy drinks. 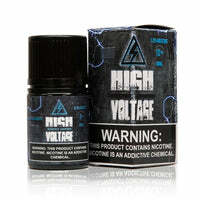 Blue Energy - High Voltage Electric Edition has a rating of 4.8 stars based on 4 reviews.